What Can You Expect From Your Employer This Holiday Season? The holiday season is here and as the song goes, for many employees, this will certainly be the most wonderful time of the year. A recent poll conducted by the Refresh Leadership blog revealed that a majority of businesses plan to show their employees appreciation this year through some type of gift. A majority will give a cash bonus (26%), while others (19%) said they’ll give a combination of gifts. Other business leaders said they’ll give gift cards (16%), another type of tangible gift (13%) or extra days off (7%). Not every business is the same, but these poll results are a good indication that you may see some type of gift this holiday season. If that’s the case, then your response should be one of thankfulness and gratitude. Whatever the gift may be—a cash bonus, gift card, or extra day off—be sure to send a thank you note to your leader to let them know how grateful you are for their generosity. Unfortunately, this doesn’t happen often, so when you take time to express thanks, you stand out as an example of gracious character. If, however, you don’t get a gift this year, don’t get down. 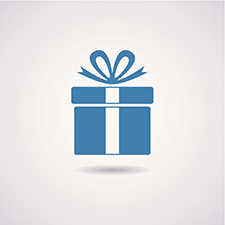 Businesses experience ebb and flow throughout the year and may not be able to offer a gift. If you don’t receive a gift from your employer, that doesn’t mean you can’t show appreciation to them and your co-workers. A thank you note to your teammates can leave a lasting impression. What do you plan to give your co-workers, if anything? Share with us in the comments section below.